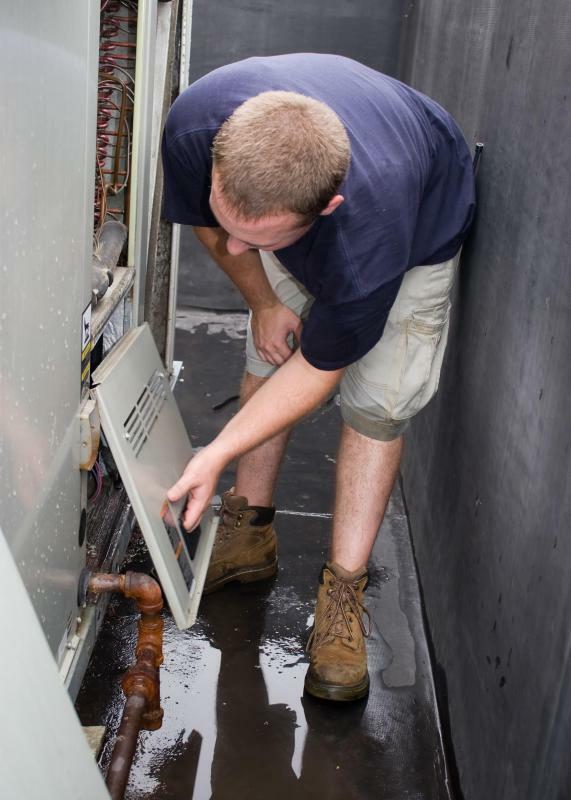 HVAC pressure is the amount of force generated by a heating or cooling system throughout a building. Once the amount of space the unit will have to hear or cool is determined, the size and type of unit can be decided upon. In order to create enough HVAC pressure within the duct work used to feed temperature controlled air into the building, the unit has to have enough strength to easily push or force the air to the point of the building that is highest in the system. It must do this without becoming overworked. The design of both the incoming and outgoing ductwork must be laid out in a manner that allows for the pressurized forcing of controlled air through the output ducts. It must also allow for the appropriate pulling of pressured air through the incoming ductwork to efficiently provide the amount of controlled air desired by the user. If this amount of HVAC pressure becomes varied in any way, the effectiveness of the unit may be compromised. The unit may even become damaged over the course of time because of improper HVAC pressure. What is a B Unit? What is a Terminal Unit? How do I Choose the Best Ductwork Design? What are the Best Ways to Improve HVAC Air Flow?